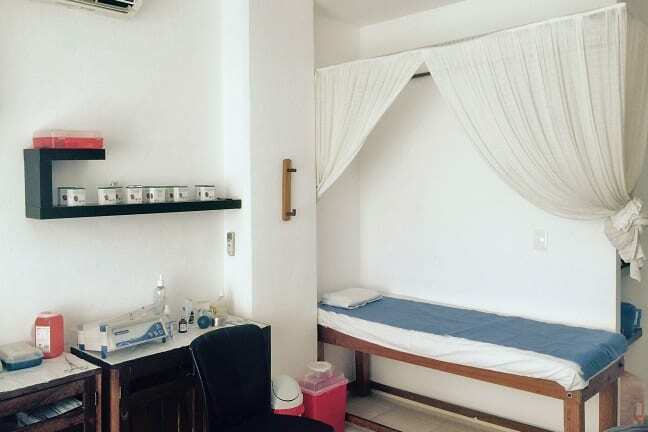 Located on the outskirts of the thriving city of Playa del Carmen, in the Riviera Maya, Mexico, is the Sanar Clinic for Integrative medicine. Founded and run by Dr.David Luis Suárez, the CEO and one of the founders of Health and Nature of the Riviera Maya and the Center for Integrative Medicine HEAL. Playa del Carmen offers something for all budgets and tastes, including hundreds of restaurants of all types of cuisine, as well as many vegan, organic and vegetarian options. A vibrant, young and cosmopolitan city set within a country rich in culture and tradition. 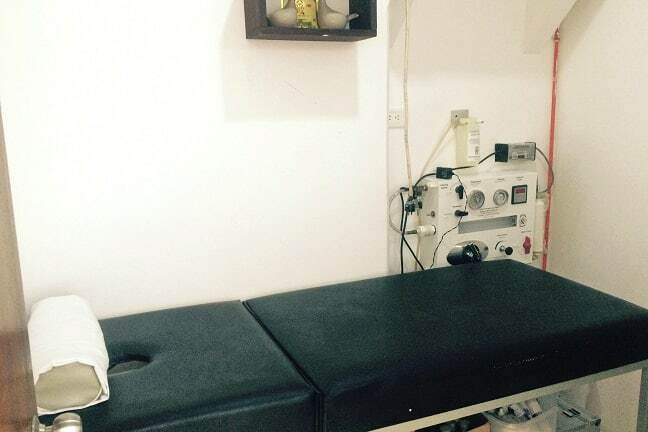 The clinic is located within Plaza Progreso, off the main highway, known as the Carretera Federal (Highway 307) at the southern end of the city. The highway stretches from Cancun through Playa del Carmen on to Tulum and continues south towards towards Chetumal close to the Belizean border. It is easily accessible via taxi or public bus, known as the colectivo, although is somewhat withdrawn from the hustle and bustle of the famous 5th avenue. The plaza where the clinic is located is quite uneventful, although once inside the clinic I immediately felt at ease and made myself at home on the comfortable waiting room sofa to complete my medical questionnaire. Upon meeting Dr Suárez himself, I found him to be both charming, empathetic and extremely knowledgeable even to the point of having to ask him to slow down because the amount of information he was giving me was somewhat overwhelming. I gave him a brief overview of my medical history (healthy, no pre-existing medical conditions and no family medical history) and proceeded to explain how I have been suffering from extreme fatigue, bloated abdomen, difficulty concentrating and irritability for some time now. I am not taking any medication and eat a balanced diet, however, I am full time working mom of two young children. Immediately Dr. Suárez told me that from the color tone of my skin and the black bags under my eyes it was obviously I was exhausted and recommended the use of the ES Teck diagnostic scanner to get to the root of the problem. Within 10 minutes my results were ready, and it was quite impressive I have to say. The scanner detected a slightly elevated heart rate, gluten and casein sensitivity and lowered oxygen levels in the brain. Dr. Suárez attributed these results to leaky gut, thus causing my fatigue and constantly bloated abdomen. Low oxygen in the brain would cause irritability and lack of concentration as well as difficulty in focusing. Gluten and casein free diet: I received a detailed diet plan via email immediately upon leaving the clinic. Acupuncture: Using the diagnostic scanner (which integrates recommended acupuncture points into its results) Dr Suárez applied acupuncture needles with focus on stress and insomnia. It was an extremely relaxing and comforting experience for me, ironic given the needles sticking out from all over my body. He also applied gold magnetic acupuncture pellets to certain points in both my ears in order to continue stimulation after the treatment. Dr. Suárez recently treated with a client from UK who was misdiagnosed via an MRI with Multiple Sclerosis (MS) along with her neurological symptoms and pain. Dr Suarez diagnosed her with gluten sensitivity by using the diagnostic scanner and after 2 years of detoxification on a gluten free diet, using ozone therapy, ionic detox, homeopathic treatments and acupuncture and now she is completely healthy and recently received a completely clear MRI. Dr. Suárez obtained his medical degree from the National Autonomous University of Mexico (UNAM) specialising in Medical Acupuncture and Phytotherapy, which is the use of medicinal plants to heal and restore balance. He also studied anesthesiology for several years which enables him to focus on pain management and has helped a great deal of patients suffering from chronic pain. He is also an active member of the Mexican Society of Ozone Therapy. He moved to the Riviera Maya 10 years ago with his wife, and soon after became a pioneer in complementary/integrative medicine with a strong focus on the environmental health of his patients. Although there are other clinics in the Riviera Maya that offer integrative treatments, Dr. Suárez believes that the level of professionalism he offers at Sanar sets him apart from the rest. 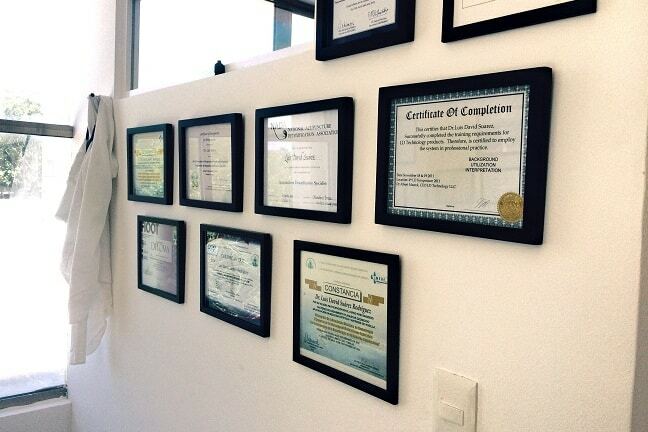 He has many return clients from the United States and Canada who return each year for treatments. Having seen several doctors over the past year, I was interested in hearing his opinion on my symptoms and his recommendations with regards to treatment. What I wasn’t prepared for were the results of the diagnostic scanner, which really took me aback. DIAGNOSTIC SCANNER ES TECK: Originally designed in France and developed over the last 20 years in the USA, the diagnostic scanner is a tool that provides information about the physical and electrical state of the human body. So it falls into bioresonance catergory. Unlike lab work which is bio chemical, electricity is sent through the body and is measured in different ways. It combines the electrical resistance of the living tissue with a pulse and heart rate analysis. The results show the composition of our bodily fluids and tissues, within 7 sections of the body, and in particular is able to diagnosis the oxidation levels of the patient, which is essential before receiving ozone therapy treatment for example. It also gives a comprehensive view of the persons homeopathic state, physiologically and biologically speaking. It can also detect leaky gut and sensitivity or intolerance to gluten or casein, the protein found in dairy. 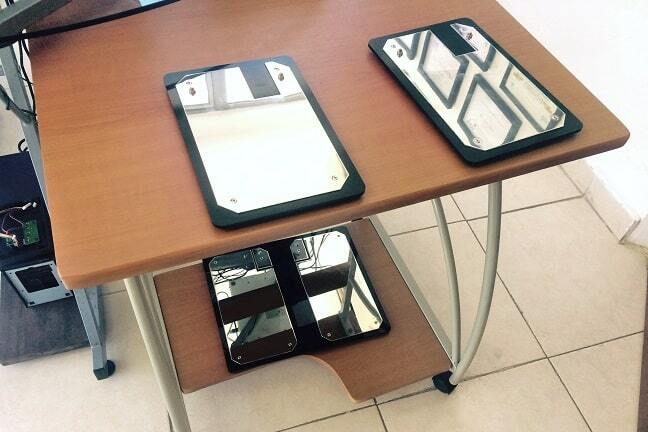 There are no other clinics in the Riviera Maya that use the diagnostic scanners and it is unique to the Sanar Clinic. OZONE THERAPY: Ozone therapy has been shown to be extremely effective in treating poor circulation, stimulating the immune system, regulating metabolism and treating pain and inflammation, in particular herniated lumbar and/or cervical discs. Ozone therapy is also used for the treatment of some chronic viral illness such as hepatitis B and C, herpes and HIV. Dr. Suárez is a member of both the Spanish and Mexican Ozonetherapy Associations and specialises in the treatment of acute and chronic pain via these ozone injections. The therapy involves injecting the ozone with the aim of causing a therapeutic response by activating the enzymatic antioxidant system and improving tissue oxygenation. Ozone also has germicidal properties and has a rejuvenating effect in helping to reduce oxidative damage within the cells. is withdrawn, mixed with ozone and applied via an intramuscular injection. Particularly useful for allergies and autoimmune diseases as the ozonated blood in the muscle creates an autologous vaccine. Intra-articular: Used for treating arthritis, tendinitis and other osteoarticular issues. Intramuscular: Ozone is injected directly into the muscle. More detailed description of those can be found on Sanar website under “therapies”.